Hostmaker's tech team needed a solution for their product marketing managers to update Landing Pages, Case Studies, Press Releases and FAQs for the various markets they manage, including cities such as Rome, London and Barcelona. Localizing content for Hostmaker's audiences is a mission-critical piece of the marketing strategy that is driving such tremendous growth. Hostmaker chose Cosmic JS to give their cross-functional team the tools they need to perform their jobs. Now Hostmaker's developers can build reusable components and scalable content models while their marketers can manage content specific to a particular locale. Iron Dog Studio is the newest slots brand from the 1X2 Network. 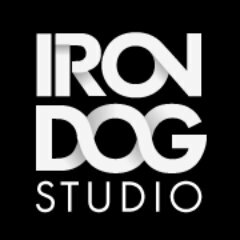 Focused on high production quality and unique features, Iron Dog Studio is passionate about creating new concepts that will entertain players, and believe that in doing so they will continue to share the fun with operators and players alike.